1. 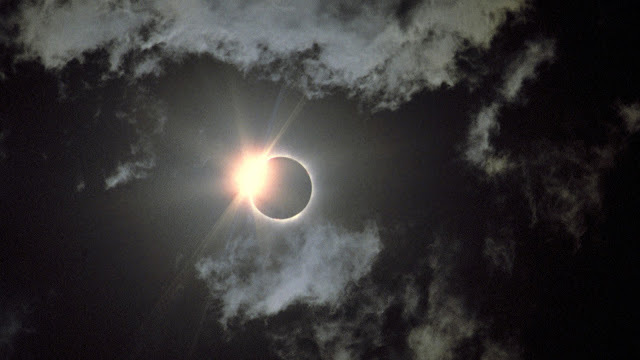 Eclipse Phenomena- I Am so excited for this amazing event today!! >What does this mean? A total solar eclipse is when the New Moon comes between the Sun and Earth blocking the sun, momentarily causing darkness. >Can you see it? Yes, with special viewing glasses on or making a pinhole on cardboard shining down on a white plate or piece or cardboard. DO NOT LOOK DIRECTLY AT THE ECLIPSE!!! >Will it literally black out our sky during the day? Yes, but typically for just a couple minutes of time. >What does this mean spiritually?? Well, I thought you'd never ask. This is an incredibly powerful time for us. Mostly because it signifies new beginnings. Best part is, the effects of this amazing phenomenon can last up to a year after it takes place. 2. Life after 3 rounds of BBG- holy moly did I really just complete 36 weeks/3rounds of BBG?! Say whaaaat. I plan to do a full review on it later this week. O.M.G. Obsessed!! Jessica Biel is absolutely amazing in her role and the story will have you on the edge of your seat craving the next episode like crazy. Cheers to a new series! 5. Water- I wanted to share and remind you all to drink your water. I have been feeling a little more sluggish lately and I realized that it was because it had been a little less hot here and I have not been drinking my normal amount of water. Most days, I try to drink 1/2-1 gallon a day. I love that water also helps to keep you feeling full, it is so amazing for your skin and really helps to removes toxins (especially if you're using the fascia blaster ladies!!). And as they say: don't medicate, hydrate!